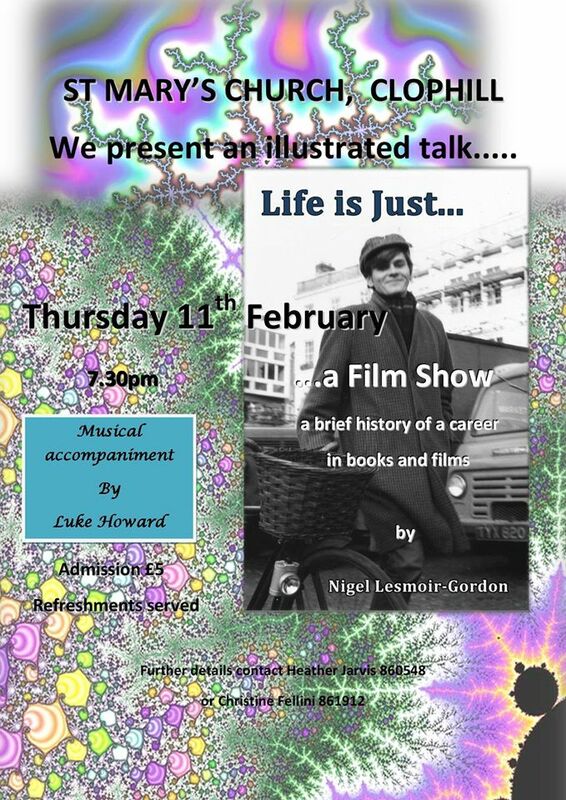 This Thursday – 11th February – author Nigel Lesmoir-Gordon will be sharing stories about his life and giving a filmshow at St Mary’s Church Clophill. All proceeds will go towards the upkeep of the church. 7.30 pm start!